Wimbledon 2014 is nearly upon us once again. 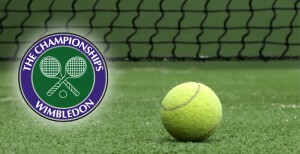 The world’s most prestigious tennis championship runs from Monday 23rd June until Sunday 6th July, and if you haven’t got the court-side tickets that you hoped for this year, then fear not, we will be showing Wimbledon 2014 live at the House throughout the tournament, for your tennis viewing pleasure. The excitement of last year’s tournament is going to be hard to beat, where we saw Andy Murray become first Brit to lift the Wimbledon men’s championship in 77 years. If that sunny Sunday afternoon taught us anything it’s that we definitely shouldn’t be sat home alone watching the games, when you can have be surrounded by other tennis fans, in the comfort of our fabulous cocktail bar and restaurant on the Kings Road in the heart of Chelsea. Andy Murray is no doubt desperate to lift the Wimbledon trophy once again, but we all know that his close rivals Roger Federer, Novak Djokovic and Rafael Nadal will be doing their level best to beat him to it. So gather your friends together and watch the action live at Beaufort House Chelsea. Get your tennis elbow flexing, ready to drink a never ending flow of delicious cocktails, and not forgetting our fantastic choice of food both from our a la carte, and bar snacks menu.